University of Bamenda Cameroon – Université de Bamenda Cameroun. 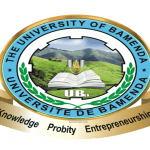 The University of Bamenda Cameroon Founded in 2011, Université de Bamenda (English: University of Bamenda) is a non-profit public higher education institution located in the medium-sized city of Bamenda (population range: 500,000-1,000,000 inhabitants), Northwest Region. Officially accredited/recognized by the Ministère de l’Enseignement Supérieur, Cameroun (English: Ministry of Higher Education, Cameroon), Université de Bamenda is a coeducational higher education institution. 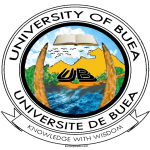 Université de Bamenda – University of Bamenda offers courses and programs leading to officialy recognized higher education degrees in several areas of study. Université de Bamenda Cameroun also provides several academic and non-academic facilities and services to students including a library, as well as administrative services. Applications for admission University of Bamenda. GCE A/L in at least two (2) subjects obtained in one sitting or Baccalaureate or its equivalent. Candidates seeking admission into the Faculty of Economics and Management Sciences must have at least a pass in Mathematics at the GCE O/L. Composition of Files University of Bamenda: Admission procedure. Certified photocopy of GCE O/L or Result Slip or Probatoire. Certified photocopy of GCE A/L or Result Slip or Baccalaureate. Receipt of payment of application fees of 12.000 CFA at NFC Bank Account Nº given. A stamped self-addressed envelope A4. Certificate of disability where applicable. I’m awaiting my HND RESULTS in ACCOUNTANCY,so i wish to ask if its possible to do my degree programme in the Bamenda University for one year providing i do so well in the HND. Also,i have 9 O/Level and 4 A/Level with 17 and 14 points respectively. Am a graduate of human anatomy from Nigeria and I wish to apply for medicine/surgery in university of bamenda. pls how do I go about it and what level will I be admitted into? Am a graduate of human anatomy from Nigeria and I wish to apply for medicine/surgery. pls how do I go about it and what level will I be admitted into?